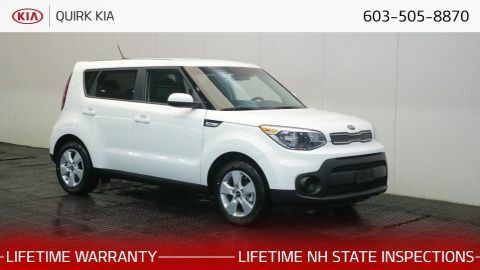 Boasts 30 Highway MPG and 24 City MPG! 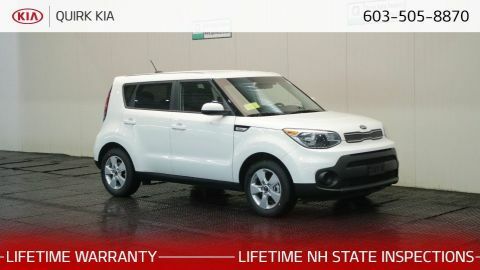 This Kia Soul boasts a Regular Unleaded I-4 1.6 L/97 engine powering this Manual transmission. CLEAR WHITE, CARPETED FLOOR MAT, BLACK, CLOTH SEAT TRIM -inc: Woven and tricot. 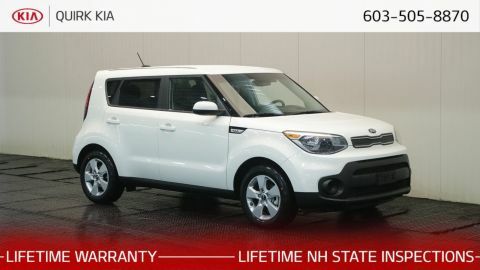 *This Kia Soul Comes Equipped with These Options *Wheels: 16 Alloy, Variable intermittent wipers, Urethane Gear Shift Knob, Trip computer, Transmission: 6-Speed Manual, Torsion Beam Rear Suspension w/Coil Springs, Tires: P205/60R16, Tailgate/Rear Door Lock Included w/Power Door Locks, Strut Front Suspension w/Coil Springs, Spare Tire Mobility Kit. 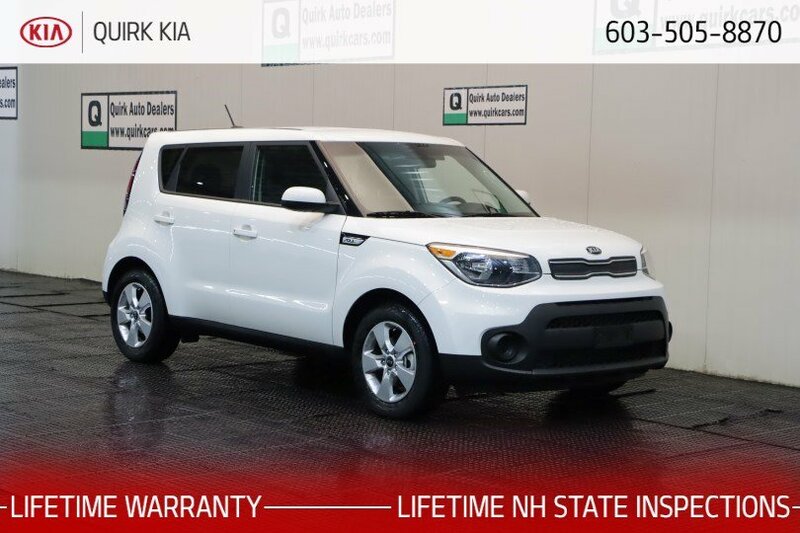 * Stop By Today *For a must-own Kia Soul come see us at Quirk Kia NH, 1300 South Porter Street, Manchester, NH 03103. Just minutes away!